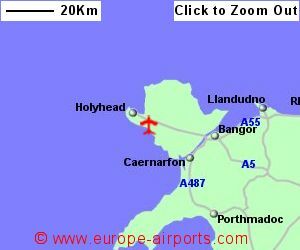 Anglesey Airport , otherwise known as Valley Airport, is located 4 Km south of Valley, on the west coast of the island of Anglesey, off the north west corner of Wales. The civil airport of Anglesey is part of RAF Valley, and had been operation since 2007. A bus link timetable is co-ordinated with flights and there is a train station in Valley, 2.5 miles from the airport. Taxis are available in the area. Anglesey airport has a vending machine for refreshments. 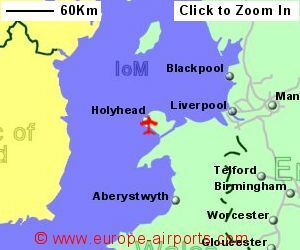 Sorry but we do not have any details of flights from Anglesey Airport to the rest of Europe.